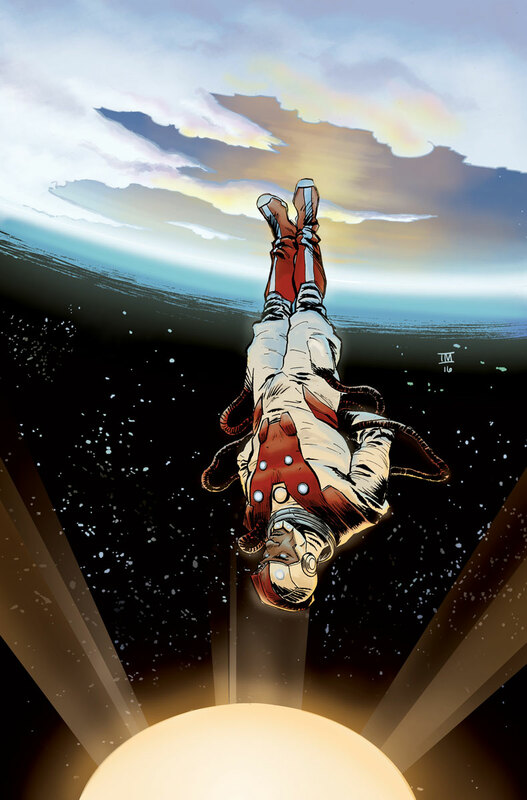 DIVINITY #0 – AN EPIC JUMPING-ON POINT and UNIVERSE-SPANNING INTRODUCTION to the heroes, villains, and cosmic forces behind the most renowned publisher in comics today! On August 16th, traverse the world of Valiant’s most enduring icons as Abram Adams, the once-mortal man now known as the god-like being called Divinity, begins a stunning and revelatory journey to the farthest corners of the Valiant Universe and back in search of its most formidable heroes – Bloodshot, Ninjak, The Red Brigade, X-O Manowar, and dozens more – in the pages of an all-new, standalone entry point from the mind of New York Times best-selling writer Matt Kindt (X-O MANOWAR, Dept. 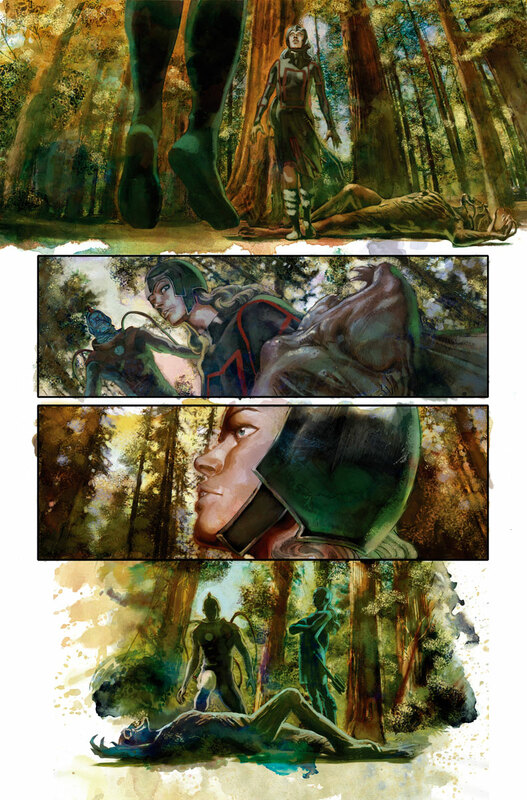 H) with fully painted artwork by visionary talent Renato Guedes (BLOODSHOT REBORN, Wolverine)! 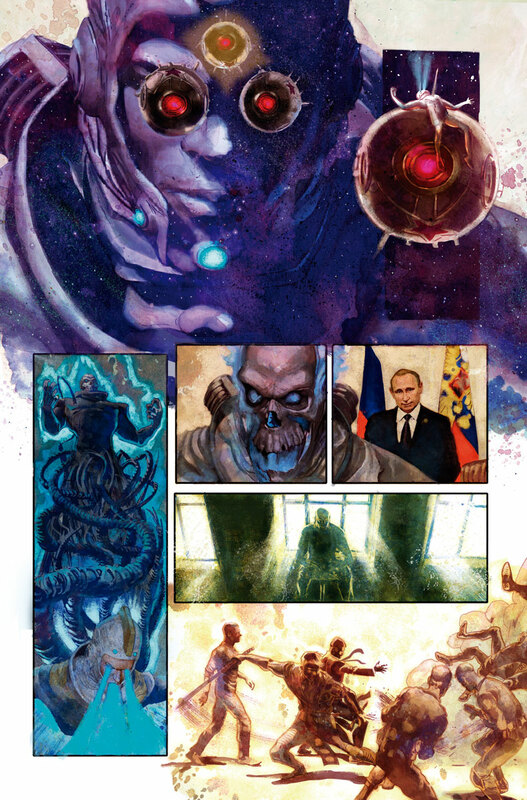 Divinity, a lost Russian cosmonaut newly arrived to Earth with god-like powers, has successfully restored the world to order after the reality-altering event known as the Stalinverse. But how can a man – even one with near-divine abilities – know for certain that the planet has been truly restored in full? 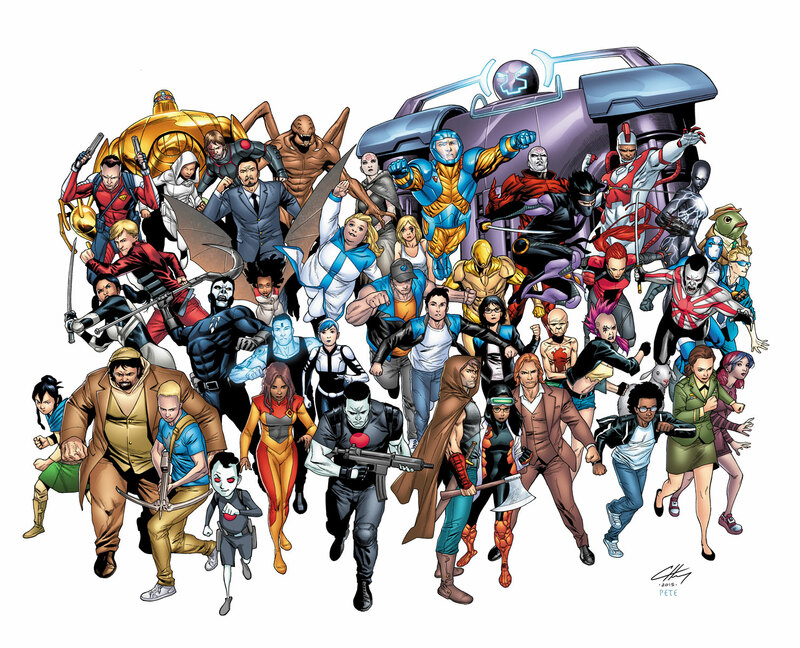 To make sure, Divinity must bear witness to the world as it now stands – heroes, villains, gods, and all – to ensure the rightful order of the Valiant Universe! 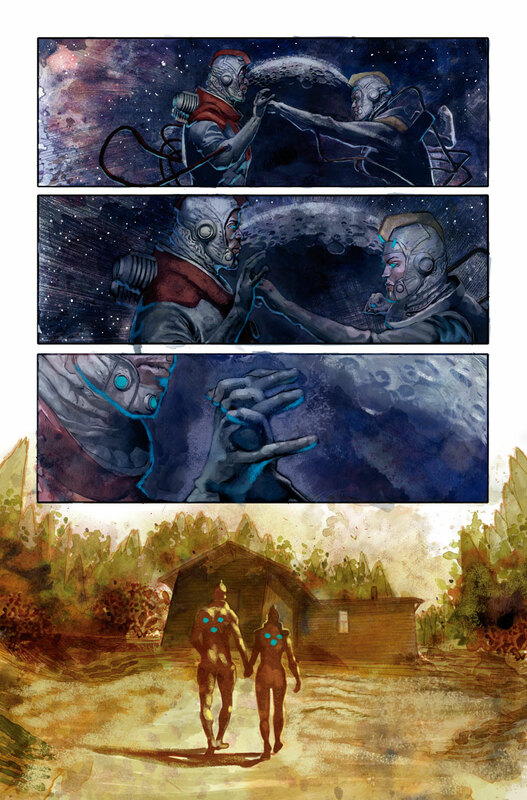 In the wake of the repeatedly sold-out and universally acclaimed success of DIVINITY, DIVINITY II, and DIVINITY III: STALINVERSE, a new era for the force that pushed the Valiant Universe to the leading edge of superhero-driven science fiction begins here! 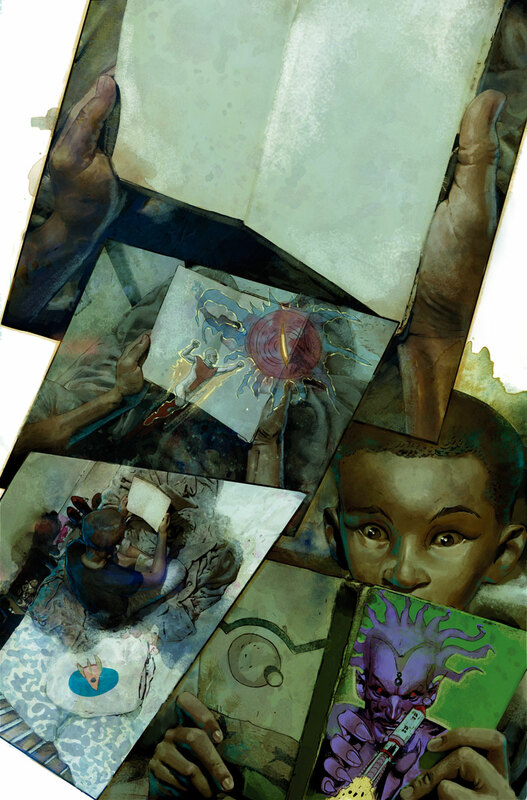 On August 16th, jump headfirst into the award-winning comic book line that Nerdist calls “the most cohesive and thrilling superhero universe around” as Matt Kindt and Renato Guedes present a panoramic introduction to the Valiant Universe as seen through the eyes of Abram Adams, only in DIVINITY #0 – featuring covers by incendiary artist Juan Jose Ryp (BRITANNIA), Eisner Award nominee Ibrahim Moustafa (Savage Things), pulse-pounding artist Clayton Henry (HARBINGER WARS), legendary cartoonist Peter Bagge (Hate), and comics superstar Kano (QUANTUM AND WOODY!)! 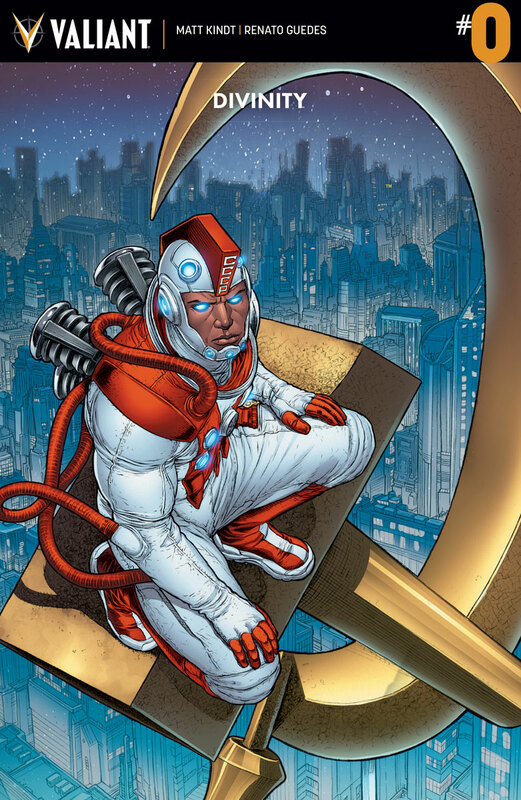 DIVINITY #0 Written by MATT KINDT Art by RENATO GUEDES Cover A by JUAN JOSE RYP Cover B by IBRAHIM MOUSTAFA Cover C (Wraparound) by CLAYTON HENRY Variant Cover by PETER BAGGE Variant Cover by KANO will be ON THE SHELF for $3.99 | 32 pgs. | T+ | On AUGUST 16th. 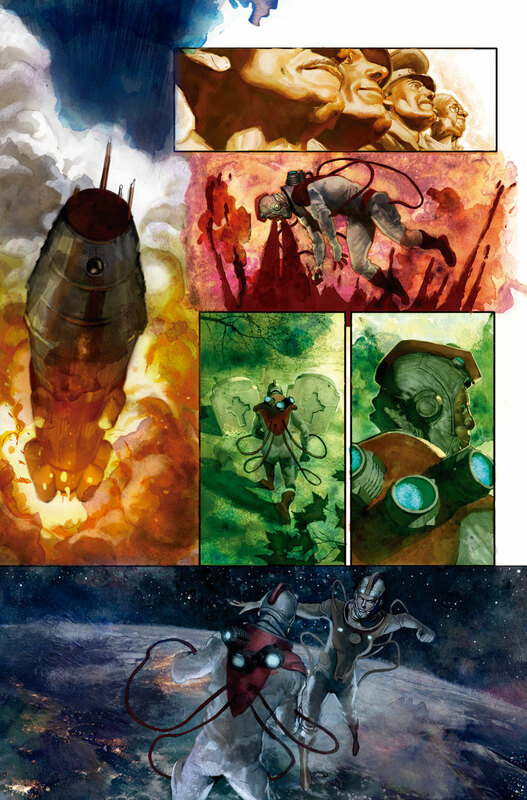 Will you be checking out Divinity #0? Let us know in the comment section below.